A Stainless Steel Drinking Fountain in Melbourne. Drinking fountains have come a long way from just being utilitarian fixtures to aesthetically pleasing water dispensers. Today there are a myriad of fountains on the market, with the stainless steel drinking fountain being one of the most popular options. Its history is quite significant, as it marked a turn from the use of materials such as porcelain. Before the 1950s, most indoor drinking fountains were made from porcelain, with them being semi-recessed in the wall. Most commonly used in schools of the pre-60s era, these fixtures were a combination of a white porcelain fountain/spittoon fountain. These were obviously inspired by public drinking fountains invented in the 19th century, which was a time when London had a water problem. The source of drinking water could not meet the demands of the growing population. It was also under the management of private companies which delivered it contaminated, leaving room for diseases to fester and affect the population. Soon after, the Metropolitan Commission of Sewers was formed and made water filtration compulsory. The first drinking fountain was erected on Holborn Hill in 1895, and its popularity spurred thereafter with about 7000 people using it every day. The USA soon followed with its own water fountain in 1889. 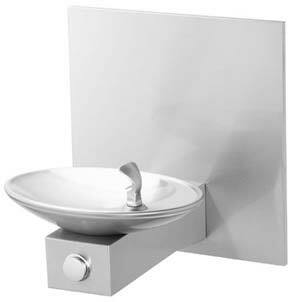 These outdoor concrete fixtures then evolved to porcelain drinking fountains that where installed indoors and outdoors. Although they were popular, an architect by the name of Minoru Yamasaki thought of them as being too practical, as they neglected design ethos that would match its respective building’s design. Minoru Yamasaki was responsible for designing the World Trade Center in New York and is widely considered one of the most influential architects of the 20th century. His major concern was that current porcelain wall-recessed drinking fountains would be an eyesore in his building’s interiors. While being given a tour of a water dispenser plant, Yamasaki decided to sketch out a bowl that would change the way drinking fountains were designed and manufactured. His idea was to build fixtures that reflected Aladdin’s lamp design. In the coming months, he would find his idea being manufactured into a beautiful stainless steel drinking fountain. With his continued involvement in the designing of stainless steel fountains and implementation of stringent ADA requirements, these fixtures would become very popular in the US and the world over. The benefits of stainless steel included an imperviousness to heat and chemical damage as well as corrosion resistance. It was very robust, although it was thinner than porcelain, making it cheaper to manufacture and transport. 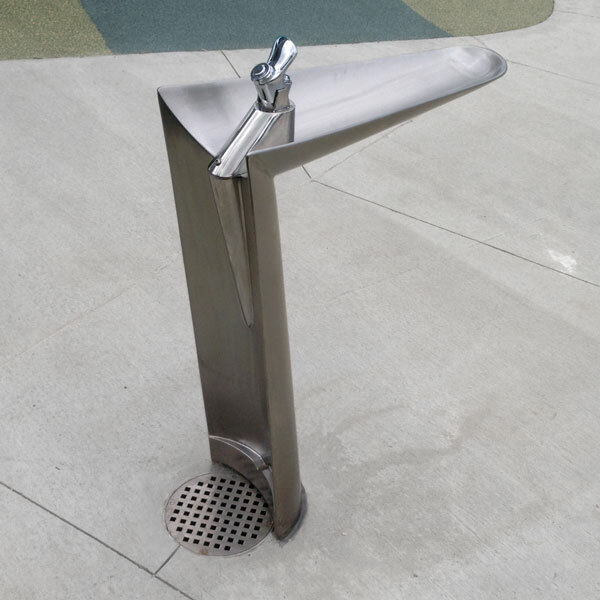 Today, most if not all drinking fountains are made from stainless steel, and are installed in a variety of environments including inside buildings and outdoor parks, gardens and public areas. Their design has since evolved from Yamasaki’s early adaptations, providing a rich option list for people who would like one installed.